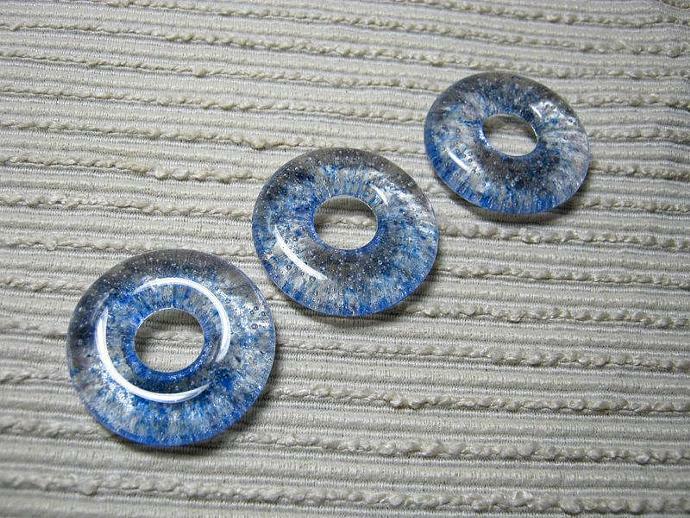 THESE ROUND BLUE AND PURPLE LARGE GLASS PENDANT FOCAL BEADS are created by layering clear glass frit with small bits of blue and purple frit glass into a mold and then melting to 1425 degrees in a glass kiln. 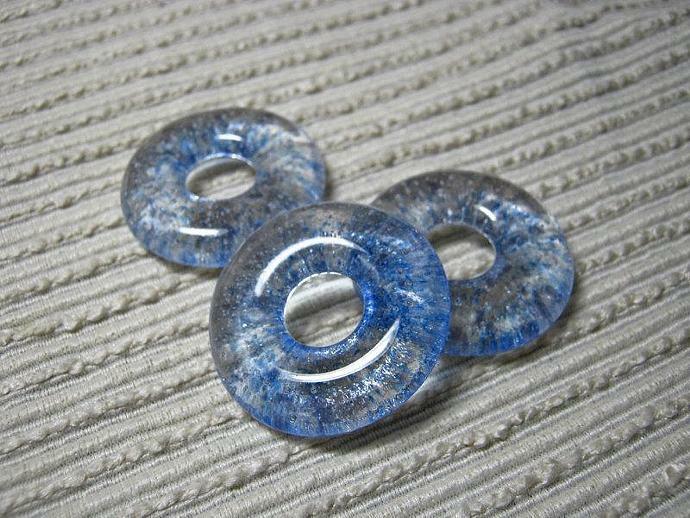 These each have a delicate effervescent 'bubbly' effect. 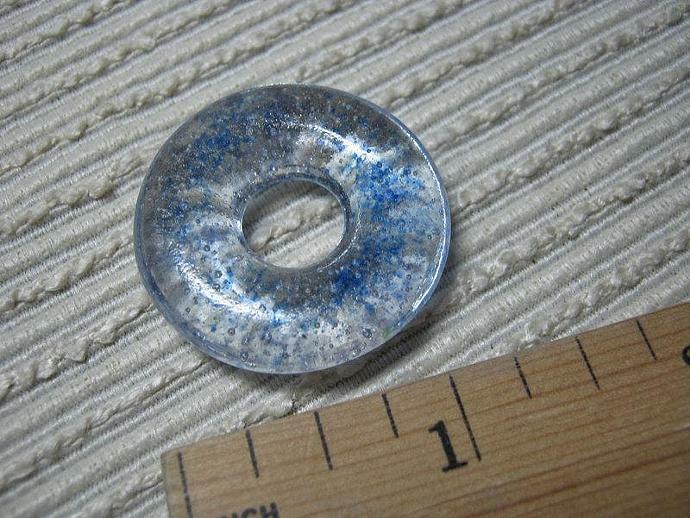 THIS LISTING IS FOR ONE FOCAL BEAD- Each donut bead is 1 1/4 " in diameter with a 3/8" hole. There are three available in this batch.